Siam Thailand Rama 7 Surc. Misplaced MNH Rare !! Siam Thailand Rama 9 Error Mixed Rare !! Siam Thailand Rama V Variety Mint & Used Rare !! Siam Thailand 2nd Issue นย Mint & Used Rare !! Siam / Thailand. Conditions as shown ! Siam Thailand 3rd Issue 6 ST. on 6 Atts Mint & Used with Variety long " ์ " !! South Vietnam Block of 4 Unissued: Agrarian Reform Wrong Date # 389A MNH. (1970 instead of 1971). Siam Thailand Wat Jang 2 on 2 Atts Used Large "S" Rare !! 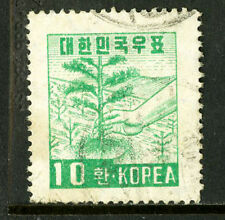 Vietnam, Sc.#1166, WTUC-Havana 5d. 3 pairs with color shifted error. NGAI mint. VIETNAM, Sc. # 1166, World Trade Union Congress-Havana 5d, 3 pairs with different states color shifted error. NGAI mint. You will receive 1 errors stamp (Ho Chi Minh 30 dong in Purple Color) and 1 complete regular set. Mint No Gum As Issued NGAI. The item in the photo is the exact item you will receive. How to get the invoice when you buy more than one item Scroll down and hit the blue button when. Siam Thailand Rama 9 Error Misperf.BLK4 MNH Rare !! A3985: Philippines #1019 Mint, ERROR, Look! Philippines #1019 Mint, ERROR, Look! 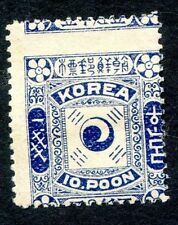 Scarce stamp of Philippines Islands, Scott #1019, with accent over "NA" in overprint, Mint, Original Gum, New Hinged. CHINA CARP COLOR ERROR ? Authentic China PRC SC#1136 Extremely Rare Color Error Stamp with "CERTIFICATE"
Background Instead of yellow bis is Yellow green. This stamp is mint never hinged with original gum. Excellent condition. 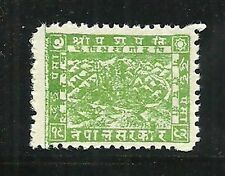 This stamp is the only one known with this error.Price is Firm(No Exceptions). Vietnam, Sc.#1165, WTUC-Havana 50xu, block of 6, colors printed on back error. Blue (pair and strip of 3) on FO paper. Black on FF and PF paper. Very nice selection. CHINA - 1986 - YEAR OF THE TIGER - COLORATION "ERROR" - 8 BLOCK - MNH - RARE. COLORATION "ERROR" - 8 BLOCK. CHINA - 1986 -YEAROF THE TIGER -. - MNH -- UNIQUE & RARE. Make Supersized seem small. (PHIL-1020). Lebanon Grand Liban - Airplane OVERPRINT STAMP # 36 RARE USED HCV LOT (Leb 77). If there really is a problem, you can open a case later. All our sells are as shown on pictures so please check the pictures very carefully! All sales are no reserves. Free shipping in USA We will ship registered mail for total orders $25 or more. If your order is under $25, but want registered mail, please add $3. We can't responsible for regular first class mail lost, even it's very rare. International shipping will be charged $3 for first class mail and $15 for registered mail. Most lots Will ship stamps only. We offer money back guaranty. If you don't like what you got, please send back to us in one week period, we will refund 100% what you paid for. Thank you so much for trusting us and shopping with us. Happy collecting. China stamp #2 3c brown red large dragon used on torn piece. Unusual CIIINA printing error no cross bar in H. Not scratched off C is also weak. Just found in an 1890 stamp album from estate. F/VF centering. The item in the photo is the exact item you will receive. How to get the invoice when you buy more than one item Scroll down and hit the blue button when. When you are done adding, hit this button. You will receive 1 WRONG DATE 1970 stamp. (1970 instead of 1971). PICTURE IS PART OF. AS PER SCAN. Vietnam 1979 - Albert Einstein / Complete Set + VARIETY of Black Color Missing.